Pioneers in the industry, we offer poddar designer gents sandal, poddar gents pu sandal, poddar gents pu sandals, poddar mens pu sandal, poddar mens pu sandals and poddar xuv gents pu sandel from India. 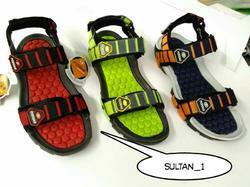 We are among the renowned names of the market, which bring forth Designer Gents Sandal in several attractive designs. Lightweight, immensely comfortable and skin-friendly, the proposed collection is massively acknowledged for its supreme finishing and ease of maintenance. These footwear pieces are checked for their perfection before the final transmission. We are among the renowned names of the market, which bring forth Men's Stylish Floater in several attractive designs. Lightweight, immensely comfortable and skin-friendly, the proposed collection is massively acknowledged for its supreme finishing and ease of maintenance. These footwear pieces are checked for their perfection before the final transmission. We are among the renowned names of the market, which bring forth Mens Stylish Floater in several attractive designs. Lightweight, immensely comfortable and skin-friendly, the proposed collection is massively acknowledged for its supreme finishing and ease of maintenance. These footwear pieces are checked for their perfection before the final transmission. Counted among the illustrious manufacturers, suppliers and exporters, we are engaged in offering Synthetic Leather Floater. Under the guidance of dexterous professionals, these slippers are manufactured with utmost perfection in tandem with the guidelines laid in the industry. Owing to our transportation facilities, we are able to dispatch our range on-time to the customers' premises to attain their maximum contentment. We are among the renowned names of the market, which bring forth GENTS SANDEL in several attractive designs. Lightweight, immensely comfortable and skin-friendly, the proposed collection is massively acknowledged for its supreme finishing and ease of maintenance. These footwear pieces are checked for their perfection before the final transmission. We are among the renowned names of the market, which bring forth Mens Sandel in several attractive designs. Lightweight, immensely comfortable and skin-friendly, the proposed collection is massively acknowledged for its supreme finishing and ease of maintenance. These footwear pieces are checked for their perfection before the final transmission. 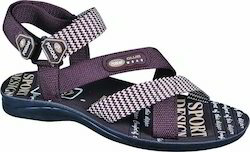 We are among the renowned names of the market, which bring forth Casual Sandals in several attractive designs. Lightweight, immensely comfortable and skin-friendly, the proposed collection is massively acknowledged for its supreme finishing and ease of maintenance. These footwear pieces are checked for their perfection before the final transmission.